OPPOSITION MDC leader, Nelson Chamisa has called on President Emmerson Mnangagwa, to accept a face to face meeting, that will set the agenda for dialogue between the two political protagonists. “Mnangagwa must accept a one on one interface with me or there is no dialogue. We need to meet so we can thrash out the modalities of dealing with the crisis engulfing our country. “It is the only way we can deal with the legitimacy crisis, the political and economic crisis and set our country on the path to recovery,” said Chamisa. Mnangagwa and Zanu PF, argue they consider the issue of the 2018 election dispute a closed chapter, following the decision by the Constitutional Court to dismiss Chamisa’s application to overturn the result. Chamisa narrowly lost the presidential election in July last year coming a close second with 44.3 percent of the vote against Mnangagwa’s 50.8 percent. Chamisa challenged the result of the election arguing the Zimbabwe Electoral Commission, had colluded with the ruling Zanu PF party, to rig the poll in Mnangagwa’s favour. However his petition at the Constitutional Court was thrown out for lack of evidence. The 41-year-old lawyer said Mnangagwa had rebuffed his attempts to meet. “We have made numerous efforts to meet Mnangagwa, numerous actions and attempts but zilch in the form or reciprocal action from him,” he said. “We are not in the business of attending rallies or tom-and-jerry stuff. Mnangagwa is not Father Christmas, who goes about giving away positions to people. Its not about Chamisa but the people,” Chamisa added. The MDC leader, said he respected the country’s Independence Day but chose to celebrate it in a different manner. Chamisa scoffed at question as regards his snubbing of the national celebrations to mark 39 years since the dawn of majority rule. “Official? What official proceedings? Mnangagwa’s attendance to an event does not turn into something official. We have the people’s mandate and when we assume power, Independence Day will be a national event, at which even those in the opposition will give solidarity speeches. “It will not be a partisan event, such as we see today. We were not invited either officially or unofficially. We chose to celebrate the sacrifices made by our gallant fighters by going to church and praying for the country. Praying for peace and the resolution of our country’s crisis,” Chamisa told newzimbabwe.com. According to Chamisa his “diplomatic” engagements on the African continent are bearing fruit. “Our story is an African story. It is being shared across the continent and we are happy with the manner in which African leaders have embraced out narrative of the situation in Zimbabwe,” he said. Chamisa however refused to disclose the names of the leaders he has met citing diplomatic etiquette. The post Chamisa demands face to face meeting with Mnangagwa appeared first on NewZimbabwe.com. The post How To Schedule WhatsApp Messages For Them To Be Sent Later appeared first on The Financial Gazette. 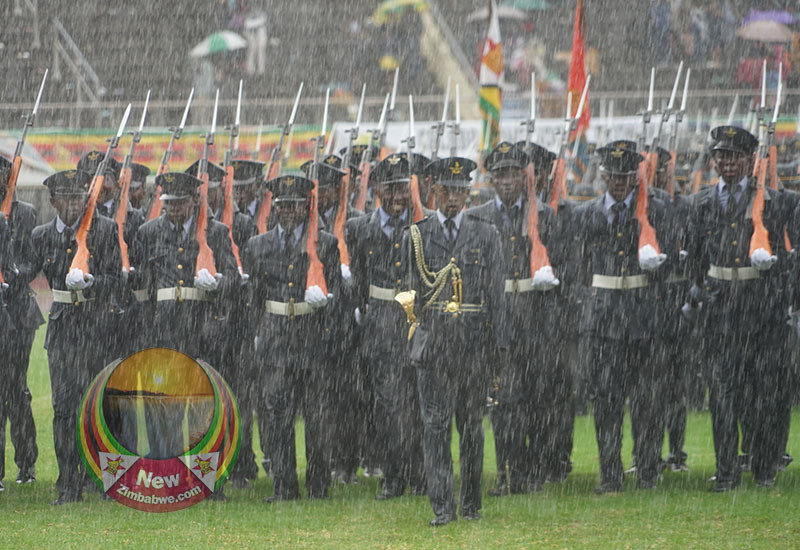 The post Zimbabwe’s 39th Independence Day celebrations in pictures appeared first on NewZimbabwe.com. TWO decades after then President Robert Mugabe’s government sponsored a chaotic and violent land redistribution programme in which nearly 4500 white former commercial farmers were brutally dispossessed, at least 600 have since died. According to the Commercial Farmers’ Union (CFU) director Ben Gilpin most of those now demanding compensation are unable to return to farming because of age. Gilpin was speaking on New Zim TV’s The Agenda programme early this week where he was discussing land and property compensation. “At the time of the land takeovers, the average age of commercial farmers was about 55. You did not just wake up and own a farm, you had to work quite a long time in order to get to the point of ownership. It generally took a long time. “Quite a lot of people who lost property are now well into their 70s and this is where we talk of distressed farmers, many of those people are even older over. We have recorded amongst our members around 500 to 600 deaths,” said Gilpin. President Emmerson Mnangagwa has undertaken to compensate all farmers for developments as is constitutionally required. The farmers however want to be compensated for land as well but have meanwhile accepted the little that is coming their way. Gilpin said by accepting the compensation for developments, the farmers are aware that Mnangagwa’s government could have chosen not to offer them anything. Government has started registering commercial farmers who lost land during the period focusing on those that are now in financial difficulties. The process is set to be complete by end of this month according to government sources. The move has however received a backlash from some Zimbabweans who argue the white former commercial farmers do not deserve any compensations. In response last week, Mnangagwa told Zanu PF youths at a meeting in Harare that he was sticking to the letter and spirit of the law. Gilpin, on the other hand argued, Mnangagwa was right. “When property rights went and also the compromise the institutions which protected those like the courts basically spelt a very negative thing to investors. “Getting back money into Zimbabwe to drive investments needs to satisfy them that those investors can trust…any signal that means Zimbabwe has had a rapport with its own white citizens, its investors, its commercial farmers will send a very positive message to the international community,” he said. The post 20 years later, 600 white farmers dead before compensation appeared first on NewZimbabwe.com. At least 15 000 women and girls in areas affected by the Cyclone Idai, are at risk of gender-based violence (GBV), the latest report from the office of the UN Resident Coordinator has noted. 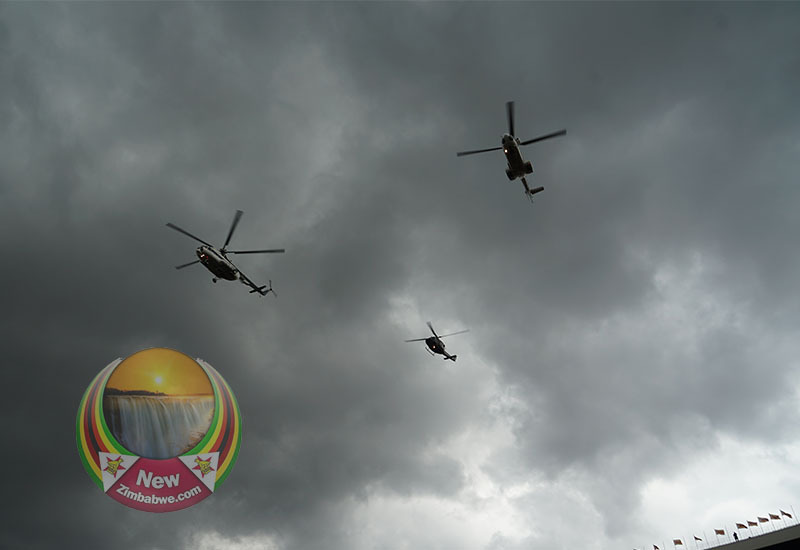 The report, which was released on 17 April, a month after the devastating tropical storm ravaged parts of Manicaland, Masvingo and Mashonaland East, said there was need for high-level advocacy to address the presence of armed troops next to affected populations. “High-level advocacy to address the presence of armed troops next to affected populations and the potential for their involvement in the humanitarian response, increasing the risk of violence including sexual or gender-based violence especially for girls and women,” the report reads in part. Zimbabwe’s military last month took over control of the distribution of food in Chimanimani and Chipinge districts after an outcry over the partisan allocation of aid. However, there are reports that the deployed soldiers are demanding sexual favours from the affected women. The UN said psycho-social support and GBV sensitisation continued to be provided to the vulnerable women and girls. “One case of sexual violence was reported of a 14-year-old girl in Chimanimani; a referral was made to DSW (District Social Worker) and Childline for appropriate CP support services,” the UN said. The UN said psychological distress among affected children was under-addressed. “Numbers of affected children, are expected to increase as new areas or wards become accessible. While most of separated children identified have been reunified with their extended families or in temporary care arrangement through foster families, the situation of separated and unaccompanied children is still fragile and the risk of secondary separation is high,” it said. The post Cyclone Idai:15 000 women, girls at risk of sexual abuse – UN appeared first on NewZimbabwe.com. ZIMBABWE’s opposition has lost its founding values and now needs to deal with credibility as well as capacity issues dogging it, former Harare Mayor Bernard Manyenyeni has said. Manyenyeni was Mayor of Harare between 2013 and 2018 representing the opposition MDC and remains an active member of the party. In a scathing Facebook post, Thursday, Manyenyeni said Zimbabwe remains stuck in a leadership crisis 39 years after majority rule arguing most technocrats have turned into arm-chair critics. “Us in the opposition have credibility and capacity doubts to clear – having long lost our factory settings,” said Manyenyeni. The MDC formed in 1999 as a social-democratic party has consistently campaigned on a platform to change the way Zanu PF has governed the country under the mantra “change the way you do things”. However having been in charge of most of the country’s urban centres for nearly two decades the party’s officials have been accused of corruption including a case in which all its councillors were fired from Chitungwiza for graft. Under new 41 year-old new leader Nelson Chamisa, Manyenyeni said the MDC needs to act like a responsible opposition. “We have to look less and less like a grouping of selfish activists but a real government-in-waiting. “Introspection is hardly ever on the agenda,” the former Harare councillor said suggesting there is a possibility for a “third force’ that however he argued may not be viable. Manyenyeni argued respectable Zimbabweans who could help the country extricate itself out of the rut are unwilling to get dirty. “The professionals and technocrats are arm-chair compatriots. Those who are NEEDED to serve simply leave it to those who are in it for NEED. “National one-ness and cohesion remain elusive (and) partisan politics remains the only game in town. We are in perpetual election mode- very destructive,” the ex-Harare Mayor said. A few years ago, Manyenyeni riled many opposition activists after arguing the caliber of councillors in Harare left a left to be desired. He at the time advocated for a qualification clause in rules governing election of candidates to councils. “We’ve done things we can never been proud of. Political leadership failure is on display all-round. “A jewel of a country destroyed by its own leaders as docile citizens watched. The team in power (Zanu PF) continues to focus on power retention – ruling as they do but not leading – most times behaving like they are just an opposition party in government,” he said. Manyenyeni repeated his call for a scrapping of “partisan elections” for 10 years arguing they have destroyed the country’s political, economic and social fabric. The post Opposition stuck in credibility and capacity crisis – Manyenyeni appeared first on NewZimbabwe.com. HEALTH and Child Care Minister Obadiah Moyo whose qualifications as a medical practitioner have constantly been a source of debate and conjecture is once again in the spotlight this time over claims he is targeting professionals at public institutions. Parirenyatwa Group of Hospitals acting chief executive Officer Dr Noah Madziva is the latest target after being hauled before a disciplinary hearing for “snubbing” Moyo. In a letter dated April 15, 2019, signed by a G Mhlanga, Madziva is accused of deliberately absenting himself during Moyo’s visit. “You are hereby invited to appear before the investigation committee, to answer allegations of your absence from duty as acting chief executive officer, during the visit by Hon Minister of Health and Child Care and the Assistant Minister of Health of the United Arab Emirates on afternoon of 29 March 2019,” the written on a government letterhead reads in part. It could not be established whether the disciplinary hearing went ahead. Contacted for comment Moyo refused to comment on the matter. “Please send questions to our (Ministry of Health) public relations officer Mr Mujiri,” said Moyo. Efforts to contact Mujiri were fruitless. Moyo was recently accused of hounding Harare Central Hospital chief executive officer Dr Nyasha Musuka in what critics argued was a case of witch-hunt. Musuka was reportedly forced into resignation after Moyo accused the medical practitioner of “disrespecting” him. Moyo had arrived at the country’s biggest referral health centre but found Musuka absent again with the UAE official in tow. The Health Minister’s qualifications are said to be less than “authentic” with claims he is uncomfortable with qualified personnel. Insiders claim Madziva was actually in theater when Moyo arrived and could not have left what he was doing to attend to the Minister. The post Health Minister Moyo hounds doctors appeared first on NewZimbabwe.com. MUTARE-A 34-year-old man, died when he fell in an abandoned mine shaft while trying to rescue his goat. Manicaland assistant police provincial spokesperson, Luxson Chananda said the incident happened at village 13D Nzvimbe, Nyazura under Chief Marange on Monday. Chananda said the deceased Simon Mangezi, slipped and fell into the shaft after losing grip of a rope. Police said Mangezi who was being assisted down the shaft at Progressive Mine B in Marange, by Rhinos Dhongire (34) fell headlong to his death. “The deceased was trying to rescue his goat, which had fallen in the shaft. He was being assisted by Dhongire but lost grip of a rope and fell to his death,” said the deputy police spokesperson. Chananda said they did not suspect any foul play in the incident. He urged people to exercise caution when attempting such rescue efforts as mine shafts were particularly dangerous. The post Man dies while trying to rescue goat appeared first on NewZimbabwe.com. ROWDY Zanu PF supporters, forced Kwekwe Mayor, Angeline Kasipo to abandon this year’s Independence celebrations official proceedings in the Midlands town on Thursday. Kasipo was booed on her arrival at Mbizo Stadium by a peredominantly Zanu PF crowd forcing her to end her speech midway. 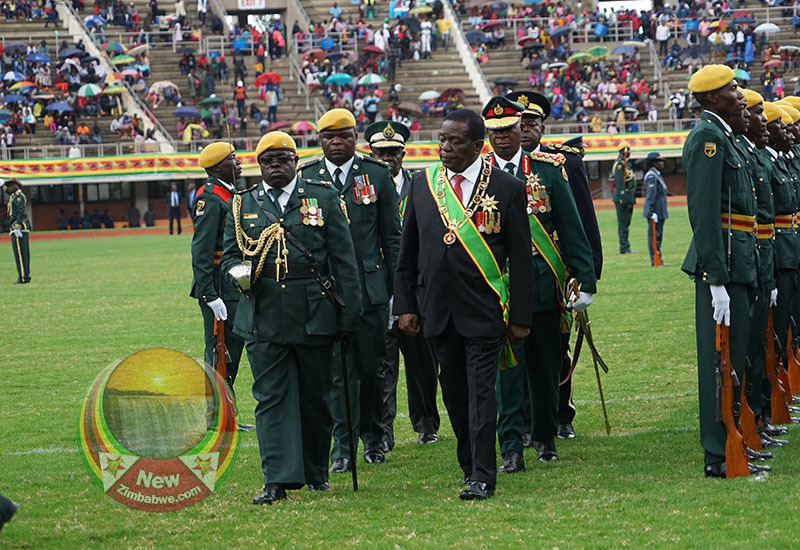 “This day (Independence) is a historically important day for us as Zimbabweans. It is a day when we were unshackled from colonialism by the white minority rule,” said Kasipo her voice drowned by insults. The first female mayor in the gold mining town, Kasipo said she was excited to be part of the celebrations as independence brought with it opportunities for women to occupy leadership positions. “Independence brought with it opportunities for women, to occupy leadership positions which then appeared alien and foreign,” she said. Kasipo however slammed the partisan crowd for intolerance. 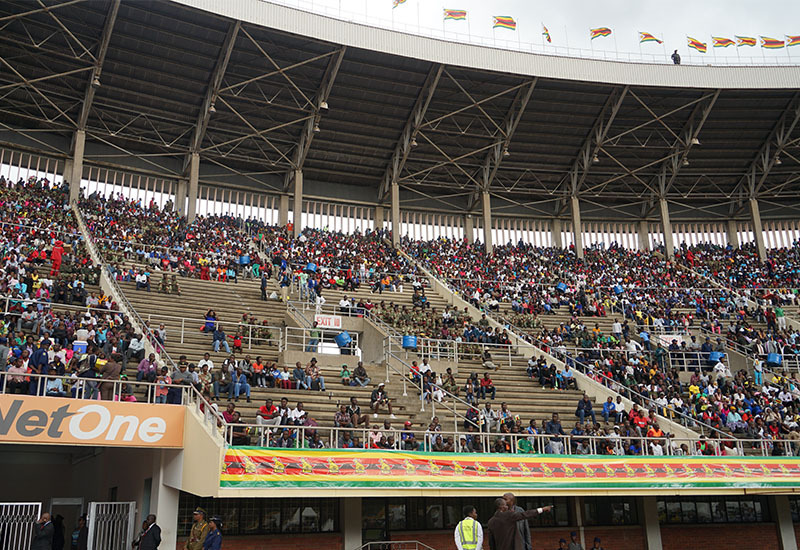 “When I came here, I was told this was a national event, for every Zimbabwean. This is not a Zanu PF day, but a day for all of us as Zimbabweans,” said ta defiant but visibly shaken Kasipo before leaving the stage. Frustrated by the booing Kasipo left the venue in a huff, as Kwekwe District Administrator Fortune Mupungu was reading the President’s speech. Kwekwe is home to President Emmerson Mnangagwa but the city is under the control of the opposition MDC. Out of 14 wards, Zanu PF holds only one. Kasipo was not the only MDC official to be humiliated by Zanu PF activists, as her Redcliff counterpart Clayton Masiyatsva and other councillors from both towns were abused. Meanwhile, former Mayor Matanda Madzoke and his then deputy John Mapurazi received a hearty welcome from the crowd. The post Kwekwe mayor booed leaves Uhuru celebrations in a huff appeared first on NewZimbabwe.com. A government decision to kick-out local white commercial farmer, Jack Parsons off his Tabas Induna farm in Ntabazinduna in Matabeleland South, has irked the local traditional leaders. Parsons and his family, were ordered to vacate the property by 15 April, to pave way for one Floyd Ambrose who is reportedly linked to top Zanu PF officials. A spokesperson for the Parsons family, Buz Davies said they were served with the eviction notice on April 9. The move to evict the family from the farm has been condemned by the locals. Ntabazinduna chief, Nhlanhlayamangwe Ndiweni warned the government that any attempts to evict the farmer will be fiercely resisted by the traditional leaders in the region. “The College of Amakhosi (Chiefs), is calling for the US government and European Union (EU), to immediately increase and tighten all the sanctions against this administration. “It is evident that this administration is only playing lip service to the reforms identified by the international community,” said chief Ndiweni in a statement. College of Amakhosi which is comprised of chiefs from Matabeleland is the region’s highest traditional court. “The College of Amakhosi, is therefore beginning a campaign that will return the farm to the Parsons family. The voice of traditional leaders must be taken note of in such matters,” said Ndiweni. The Parsons reportedly “purchased” the farm in 1953. The farm now includes the famous Chiefs lodge on top of Ntabazinduna Hill, a famous historical site that is important in the Ndebele culture. The farm was once listed for resettlement at the height of the invasions in 2000. Ndiweni maintained that Parsons‘s eviction was driven by corruption and greed as opposed to a genuine resettlement programme. “Indeed by the evidence of what is happening at Ntabazinduna, this administration is still engaged in evicting farmers in the most inhuman way. This eviction does not have any high moral ethos or political ideology attached to it at all. It has everything to do with corruption and basic thuggery. “This eviction does not recognise the local people of Ntabazinduna or indeed the whole of Matabeleland. This eviction does not recognise the customs, practices, traditions, norms and history of the whole Ndebele nation in this county. This eviction has impoverished the local people for the sake of a corrupt few individuals,” added Ndiweni. A villager in the area, Jane Moyo also deplored the farmer’s eviction. “Why is this new government indicating left when it wants to turn right? The government has said the time for evictions is over and people should now focus on production but white farmers are still being pushed from their farms to pave way for politicians and their cronies. This is not what we expected from (President Emmerson) Mnangagwa’s government,” said Moyo. In 2015, Matabeleland chiefs with the support of the civic society organisations successfully blocked intelligence operative, Rodney Mashingaidze from displacing prominent farmer Peter Cunningham from his Maleme farm in Matobo district in Matabeleland South. The post Mat South farmer’s eviction stirs hornet’s nest appeared first on NewZimbabwe.com. THE opposition MDC, has been slammed for displaying immaturity by boycotting the country’s official independence celebrations. DRC ambassador to Zimbabwe and Dean of the Diplomatic Corps, said the opposition led by losing presidential candidate Nelson Chamisa has taken an unpatriotic position to national issues. “Our wish as the diplomatic community is to see all Zimbabweans united and participating in rebuilding the country. “So the opposition needs to be mature, they are behaving like small children,” said Mwawapanga. The DRC envoy said politicians in the US differ on a lot of things but when it came to their national cause they close ranks. “Let me ask a question. Why is it that in the United States, Donald Trump who is in the White House works with the Democrats who control the States of New York and California in times of national cause? “In this country the main opposition which is running the nation’s cities is busy calling for a national shutdown and this is just nonsense. This country does not need that. There is urgent need to mature and spend time on things that benefit the people of Zimbabwe,” said the head of diplomats. Quizzed on the relevance of the ongoing economic reforms being undertaken by government, Mawapanga expressed optimism that there will be light at the end of the day. “The Zimbabwean economy is undergoing reforms and will certainly recover. I am saying this as a former Finance Minister in the DRC, where we once went through traumatic times like these. 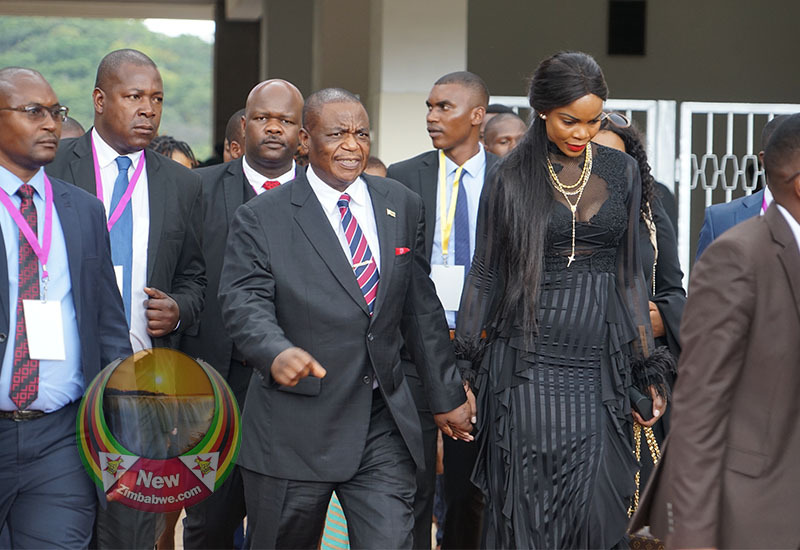 I recall that when we liberalised the price of fuel and all basic goods multiplied sevenfold but right now as I speak, DRC has a stable economy which is growing,” he said. Mwawapanga claimed Zimbabwe is undergoing short-term pain. The post Foreign Diplomats blast immature MDC for snubbing Independence Day appeared first on NewZimbabwe.com. GOVERNMENT needs to be realistic about the economic situation in the country, captains of industry have said. They were reacting to statements made by President Emmerson Mnangagwa in his keynote speech at celebrations to mark the country 39th Independence anniversary. In an interview with newzimbabwe.com Business, Confederation of Zimbabwe Industries (CZI), president Sifelani Jabangwe said it was unfair to blame business arguing there are external factors like the recent policy announcements pushing prices upwards. “What just needs to be understood is that prices are a reflection of deeper market structures and our country’s terrain was relatively stable until the time government began to make new pronouncements. “This can be testified by the fact that from January to September 2018 business managed to maintain consistency in pricing up until October 2018, when a new monetary policy which separated RTGS dollar bank accounts from Foreign Currency Accounts was announced,” Jabangwe said. The CZI boss, said that a similar situation occurred when government introduced the two percent tax which had a ripple effect on prices as business was forced to push down the extra costs to the consumer. Jabangwe noted that when government announced fuel price hikes by over 150 percent, the market reacted by passing down the extra costs to consumers. “More recently the Interbank Foreign Exchange market, effected by yet another Monetary Policy Statement, has had the effects of raising hopes that are yet to be met in as far as availing foreign currency to the Industry at reasonable rates is concerned,” he added. Confederation of Zimbabwe Retailers President, Denford Mutashu described claims that business is selfishly increasing prices as “fallacious” nchored in dinialism. “It’s fallacious and it comes from those who choose to ignore the reality. As retailers we are just price takers. “The bulk of retailers have maintained their markups until recently when there was an increase in producer prices of wheat and grain which meant that input costs had to adjust along the value chain,” he said. Mutashu said that when the price of sugar goes up, it naturally affects various manufacturers who use it as raw material. Business leader and Zimbabwe National Chamber of Commerce past president, Devine Ndlukhula urged government to exhibit full commitment and work on policy mechanisms. “The bulk of current problems are centered on currency issues and it appears as if when the Central Bank floated the exchange rates, the process was done half- heartedly because as I am speaking we cannot access foreign currency through the Interbank Foreign Currency exchange market. “So as a result, business is forced to get foreign currency on the black market where one US$ is being exchanged against the RTGS dollar at the rate of 1:5. The temptation to pass down the extra cost to the consumer remains high,” she said. 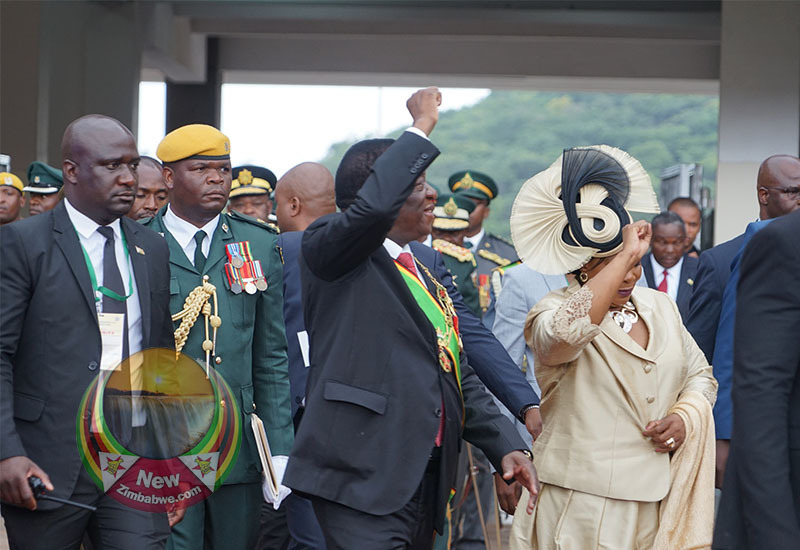 The post Be realistic: business tells ED, scoffs at President’s “inhumane” comments appeared first on NewZimbabwe.com. HOLDERS Zimbabwe, will defend their Cosafa Cup title, in the South African coastal city of Durban, after the South African Football Association (SAFA), agreed to host the tournament which will run from May 25 to June 8. The 14-nation southern African regional event, was in danger of not being played this year after Zimbabwe could not secure government financial support due to the harsh economic environment prevailing in the country. It means South Africa will host the event for a fourth time in five years. This year’s competition, carries added significance as the field is likely to have five teams headed for Africa Cup of Nations in Egypt later in June – South Africa‚ Angola‚ Namibia‚ Zimbabwe and Madagascar. For those not going to the continental showpiece‚ there is also the African Nations Championship qualifiers to prepare for in late July and early August. According to reports, organisers are exploring the possibility of inviting a guest nation from outside the Council of Southern African Football Associations to take part but that is still to be finalised. A draw is set for May 3 in Durban to determine the first round groups. The lowest ranked eight nations from the 14 will play in two groups of four, in a round robin format in the opening week. The top six join at the quarter-final stage for the second week of competition. The semi-finals and final of the tournament will be played at the Moses Mabhida Stadium, which was built for the 2010 World Cup. The King Zwelithini Stadium and the Princess Magogo Stadium will be used earlier in the competition, a Cosafa statement on Thursday said. The decision to host the Cosafa Cup in South Africa, comes at a time the Zimbabwe Football Association (ZIFA), has a pending case with the regional body over an alleged breach of a hosting agreement means that the association cannot conclusively seal deals for build-up matches for the Afcon finals. The Warriors could however still be allowed to defend their regional title. They were drawn in Group A to face hosts Egypt, DRC and Uganda in the tournament that gets underway in Cairo on June 21. The post South Africa confirmed as new Cosafa hosts after Zim pullout appeared first on NewZimbabwe.com. WARRIORS forward, Khama Billiat is targeting a strong finish to his season with his South African Premiership side Kaizer Chiefs, as he prepares for Zimbabwe’s participation at the upcoming Africa Cup of Nations (AFCON) finals in Egypt. Billiat is set to play a crucial role in Zimbabwe’s campaign at the continental showpiece, in Egypt, in two months’ time and is looking to enter the tournament on a good note. The 28-year-old former Mamelodi Sundowns player, has however endured a frustrating period at Chiefs, having missed three of their last eight games due to little niggles and contributing just two goals since the end of January. With only a hand full of games left in the season, he will have to pull up his socks in order to gather momentum, while winning the Nedbank Cup could also prove a massive confidence boost. “Definitely, it will give you confidence before AFCON and you’ll be on top of your game if you actually finish the season strong,” said Billiat. “Going to such a big tournament with a lot of confidence will help you, and it’s always a player’s aim to be on top of his game,” the Warriors talisman said. Zimbabwe has a tough draw‚ after being placed in Group A with the hosts‚ Uganda and Democratic Republic of Congo. Billiat will need all the confidence he can get being Zimbabwe’s talisman, as they open the tournament against the Pharaohs in front of 75‚000 home supporters at Cairo International Stadium on June 21. “Egypt are going to need more confidence as well because they have more pressure – they are playing at home and they are expected to win‚” Billiat said. The post Billiat seeks momentum ahead of AFCON 2019 appeared first on NewZimbabwe.com.